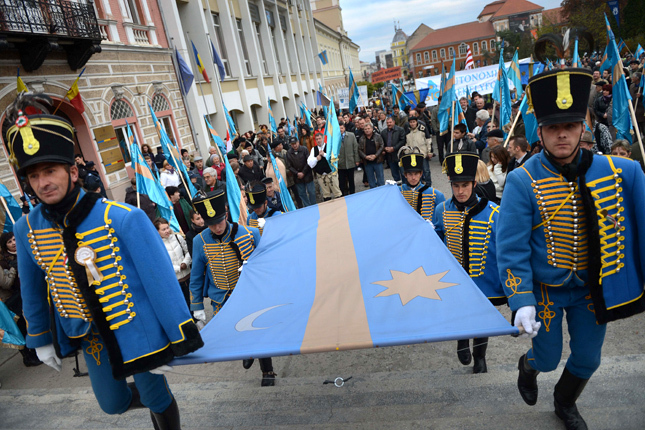 9/29/2016 - The "Hungarian Free Press" attacked AHF for supporting a senior American diplomat who had the wisdom and courage to pose with the Szekely flag. While it is our general policy not to respond to such attacks, we make an exception when appropriate. AHF later thanked the publication for the resulting dialogue. Normally we at the American Hungarian Federation would not respond to the kind of posting you made on September 22, “Exploiting the naiveté of Hans Klemm, the US ambassador to Romania,” but we are making an exception in this case since you have gratuitously defamed not only an outstanding career American diplomat but our organization as well. The tactics you employed reflect neither a responsible use of logic nor a fair understanding of the issues involved. 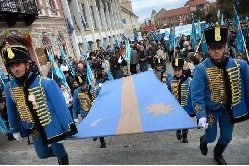 Any display of the Szekler flag by radical groups no more vitiates its symbolic legitimacy than that of the American flag when it is displayed by extremist groups. This is a form of guilt by association which is a thoroughly discredited polemical tactic and never used by respected interlocutors. 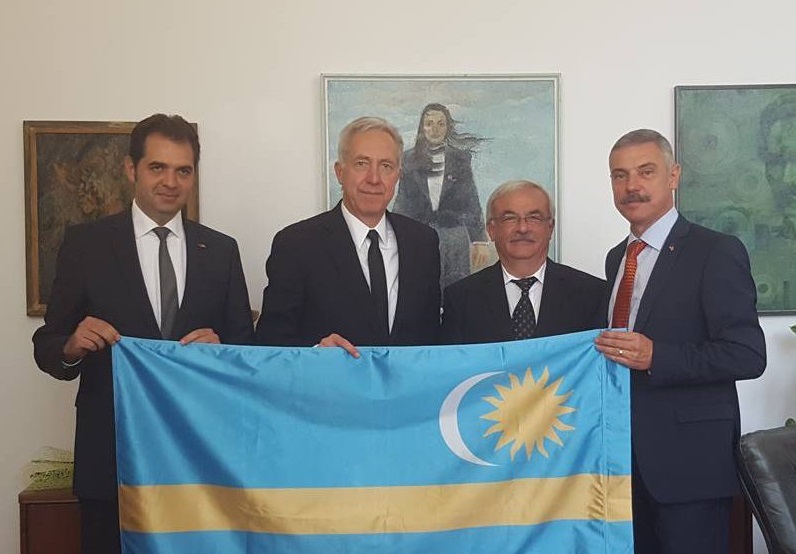 Your painting of Ambassador Klemm as naïve for posing with Mayor Árpád Antal of Sepsiszentgyörgy with the flag in the Hungarian speaking region of Romania is as absurd as it is ill informed. American career diplomats are highly trained experts charged with carrying out U.S. policy abroad, and it as an established feature of American interests and values to promote diversity and minority human rights around the world. Ambassador Klemm was doing nothing other than what American diplomats do elsewhere in similar circumstances. Finally your ad hominem depiction of the American Hungarian Federation as a “right-wing organization,” is as ludicrous as it is preposterous. 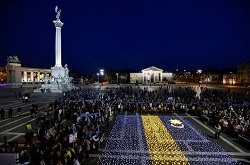 Our hundred year old mission in preserving Hungarians' cultural and historical heritage and promoting minority rights has drawn popular support across the political spectrum and faith community as well as across the professions, including medicine, history, science, diplomacy, and the law. For your information, our governing board currently includes professionals with differing political views, reflecting its nature as a federation. 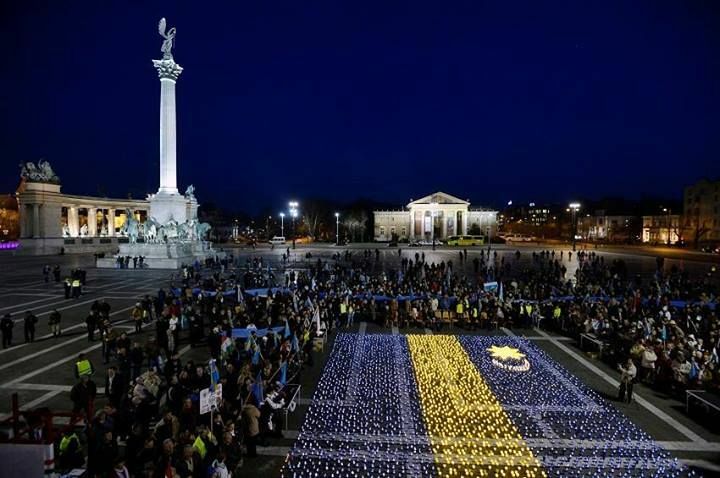 Since you say you enjoy spending time in Hungary, we wish you would also find it enjoyable backing our worthy mission, including our efforts to combat the discrimination confronting Hungarian minorities in their ancient homeland, instead of trying to tear it down. We would welcome your support. I believe our exchange has amply demonstrated that one can disagree on an issue and yet carry on an intelligent and respectful discourse without lapsing into personal attacks and defamatory labeling. We champion those rights for the Hungarian minorities and hope that those who otherwise support human rights, the rule of law and democracy will join in our efforts. Thank you for publishing our letter and for carrying on this discussion on its merits.